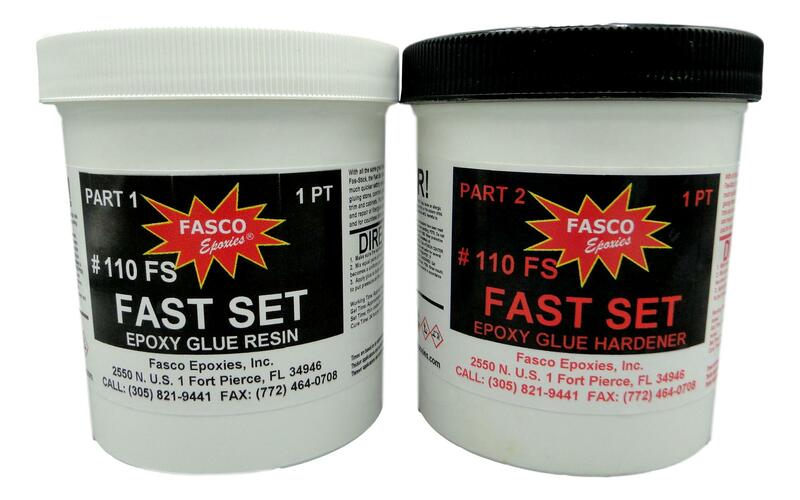 Description: 110 fast set epoxy glue is a two-part putty type glue with an epoxy resin base. The part 1 resin is milky white. The part 2 hardener is amber. Both components are about the consistency of vaseline. The glue which results from equally mixing the two components is the strongest. yet developed by science.